BOSTON—While acknowledging Tom Brady's decision to betroth his sister Julie to savage, lecherous Kevin Youkilis may be morally repugnant on a personal level, Boston sports analysts said Thursday the move should consolidate the superstar's power over the region's fans. 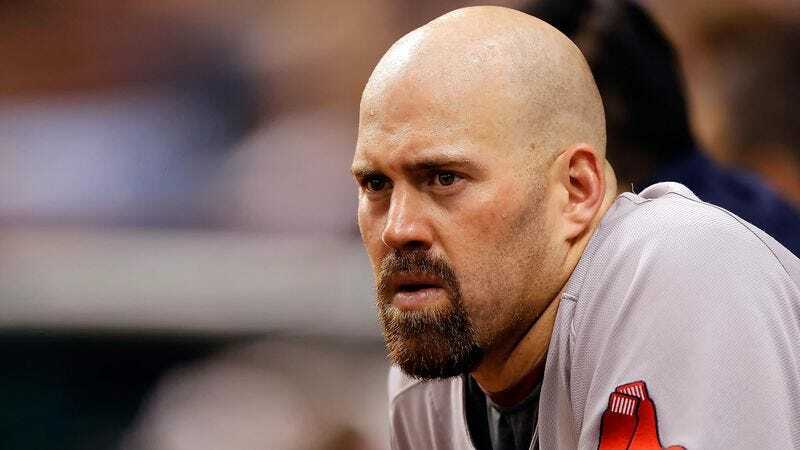 "From a strictly political standpoint, the union of his family and the House of Youkilis spreads his authority into the realm of the Red Sox and allows him to check the power of the young aspirant Jacoby Ellsbury," said ESPNBoston.com reporter Mike Reiss, who has tracked Brady's rise since his Machiavellian overthrow of the once-great Drew Bledsoe. "Youkilis may not be a strategic genius, but he is powerful and unpredictable, and it's better to let him exercise his animal urges on Julie than it is to leave his twisted mind to plot and plan. "The move is one of many the Patriots quarterback has made to reassert his authority following a disappointing Super Bowl battle; after making it known through his wife he was unhappy with his receivers, Wes Welker was drawn and quartered by Brady followers last week in the streets of Foxborough.